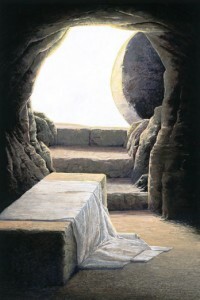 As we come upon another Easter celebration I wanted to once again share some of the strong historical evidence that Jesus did indeed actually rise from the dead. Christians who believe in the resurrection don’t do so just because that’s what we’ve been told and because it makes us feel better. That need not be the case anyway. There’s solid historical evidence that you can know and share with others. So whether you’re a Christian or someone who thinks that there’s no way Jesus actually rose, let’s take a quick look at the evidence and then if you want to dig deeper you can read some of my earlier posts. I’m going to be presenting the Minimal Facts Approach developed by Gary Habermas and Michael Licona. This means considering only those facts which are so strongly verified historically that they are accepted by nearly every scholar who studies the subject, even the rather skeptical ones. This is presenting the case with the “lowest common denominator” of agreed-upon facts. Sharing the evidence with this approach, someone who doesn’t even accept the Bible as the inspired Word of God can see the strength of this case on the historical evidence alone. There are five minimal facts, or what Haberman and Licona call 4+1 facts. This is because the first four are accepted by nearly every scholar and the fifth one is accepted by an impressive majority of scholars, though not by nearly all. Not only do the four New Testament gospel writers record that Jesus died by crucifixion but so do several non-Christian sources. The highly critical Jesus Seminar scholar, John Dominic Crossan, who doesn’t accept a lot of what the Bible says about Jesus, however acknowledges, “That he was crucified is as sure as anything historical can ever be.” You can read more about this fact here. There is a virtual consensus among scholars who study the resurrection that after Jesus died by crucifixion, his disciples really believed that he rose from the dead and appeared to them. This is because the evidence shows that the disciples themselves claimed that Jesus had risen and appeared to them, and after they said that, they were radically transformed from fearful cowards who denied and abandoned Jesus to bold and brave men who proclaimed the good news of the risen Jesus. And they did that in spite of the imprisonment, torture and death that that brought. You can read more about this fact here. Saul of Tarsus, better known as the Apostle Paul, was a devout Jew who believed it was God’s will for him to persecute and imprison members of the new Christian church. He was going about doing that when he suddenly changed and became one of the church’s most influential messengers and leaders. Why? Both Paul himself and Luke report that it was because Paul firmly believed that he had an encounter with the risen Jesus. So the resurrection of Jesus is testified to by both his friends and an enemy. And this sudden change came at a great cost to Paul. You can read more about this fact here. The gospels report that Jesus had at least four brothers, or rather half-brothers, including James. Josephus, the Jewish historian also mentions James. So what was James’ opinion of Jesus? What would you think if your brother started claiming to be God? Before the resurrection James didn’t believe in him, he thought he was out of his mind. After the resurrection James was one of the leaders of the early church in Jerusalem. So why the sudden change? The New Testament says that the risen Jesus specifically appeared to James. If your brother died and rose again and appeared to you, that might change your mind too. It seems that’s what happened for James. You can read more about this fact here. This fifth fact doesn’t have as wide an acceptance among scholars as the previous four but still an impressive majority of about 75% accept it. What’s more there is strong evidence for it. If the tomb wasn’t empty his enemies in the Jewish leadership and Roman government would have only had to exhume the body and display it to bring an end to it all. But there is total silence from Christianity’s critics who would have jumped at this sort of evidence. They even indirectly confirm it by coming up with the story that the disciples had stolen Jesus’ body. You can read more about this fact here. Put together, the five minimal facts make a strong historical case. Alternate, opposing theories have been come up with to explain away these facts but while they may account for one or more of the facts, they fail to explain all five put together. You can read more about this here. For me, the explanation that Jesus actually rose from the dead clearly makes the most sense of all the evidence that has been left for us. I don’t just believe it because it’s a nice story and it gives me hope, I believe it because God has given us considerable historical evidence that deserves serious consideration by all of us. As it did for the disciples, Paul, James, and so many others since, the evidence of the Risen Jesus, who died for my sins, has changed my life, and definitely for the better. My life has never been the same since I came to understand his amazing love and acceptance for me, shown in the cross and the empty tomb. It is my hope that if you have not yet come to know the Risen Jesus personally, that you will. May you find and accept this great gift this Easter. I had to share this song as it ties into so much of the evidence for God that I’ve shared here. Knowing God by faith involves both the mind and the heart and this song really grabs both for me. It’s a little long but I think it’s worth the listening/watching to the end. I hope it speaks to you as it does me. Whether we realize it or not, what we think about the origins of human life can have a dramatic effect on how we view ourselves and others. If I think I’m just an evolved animal, or going further back, just an accidental blob of chemicals that happened to come together in the right way, what reason do I have to think that there’s much value to my life? Or what about the people around me? On a sinister scale, views of human life as just being an evolutionary accident, no different than an animal or the chemicals that make us all up, have been used to justify atrocities against entire races and groups of people. While I may not identify with that, what about in smaller ways in my daily life? What about those people I have to wait in line behind at the Kwik Trip as I try to quickly stop for a doughnut on the way to work? If I think of them as just other accidental blobs of chemicals that happen to be in my way, I might degrade them in my mind as I watch them slowly put their wallet back away instead of quickly grabbing their stuff and moving out of my way. What about people that have some skills of abilities that I am in need of? I might think of them just as tools to be used. Or what about people that I find attractive? If I think of them as attractive, accidental arrangements of chemicals, I might think of them simply as objects that are there to be seen. 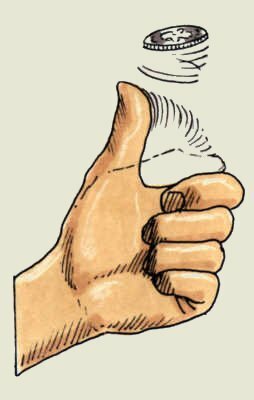 When I have a low view of human life, it’s easy just to see others as nuisances in my way or as a way to get what I want. But are we just accidental arrangements of chemicals, that beat incredible odds in coming together just right, or are we something more? As I’ve written here on this blog many times, I believe that the evidence from the fine tuning of the universe and our amazing planet, along with the start of life from non-life itself, makes a very strong case for a designer of it all. The odds against it just happening by accident are astronomical. I believe that it took a creator, it took God to bring about life and ultimately human life. The Bible says that humanity is special. It says that God made all living things on Earth and then as a culmination, he made human beings. God created human being as special. He created us in his image. I don’t claim to know exactly what all that means but it means that in some senses we are like him. 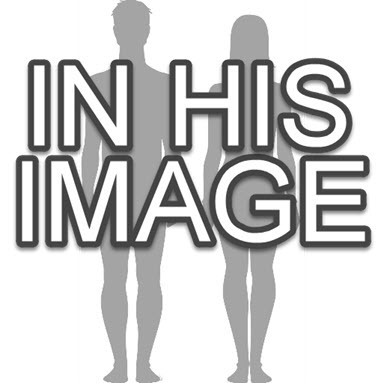 You and I bear the image of God. Every person we see in our daily lives bears his image. That means that they are special and have great value and worth, just as you do. I realized that while I believe that, I need to remind myself of it more often., throughout my day. Whether someone irritates me or pleases me, I need to remind myself that there in front of me is a valuable human being who is made in God’s image. They’re not an accident, they have great value and worth. Not only did God create human beings in his image, he later became one of us in his Son, Jesus Christ, further showing the worth and value he has placed on us. So don’t let anyone tell you that you’re not special and valuable and don’t let yourself think that of anyone else. 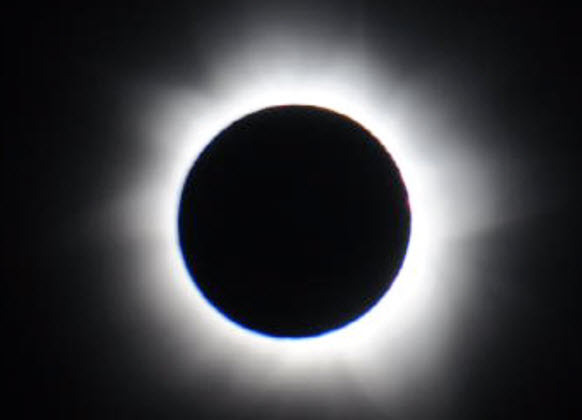 On Monday, August 21st, 2017 the great majority of the United States will get to see a solar eclipse, with a total eclipse path going from Oregon to South Carolina. It will be an amazing and wonderful sight. I’m sure that we’re all going to be seeing lots of diagrams of how eclipses happen, like the one below. But while these are helpful, because they are not done to scale (which would be admittedly difficult) I think we may not always realize how truly amazing it is that eclipses happen. How Big is the Moon Compared to the Sun? The Sun is actually 400 times bigger than the sun. 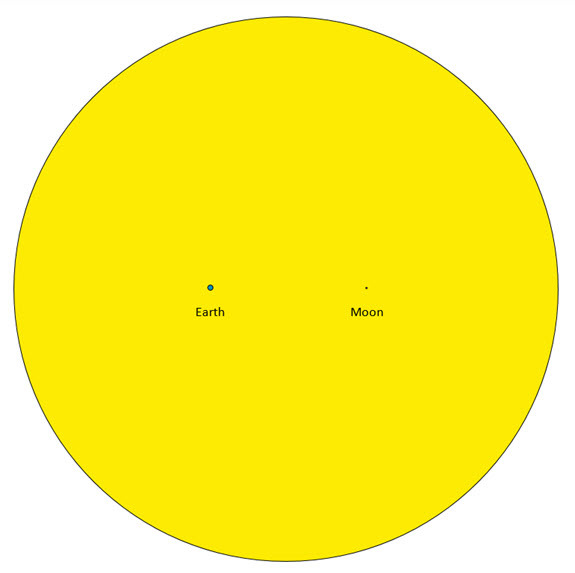 The image below shows the actual size comparison between the Sun, Moon and the Earth. Think about how small the Moon actually is compared to the Sun, and then think about how amazing it is that when they line up, the Moon perfectly covers the Sun. While the Sun is 400 times bigger than the Moon, it happens to be 400 times further away, causing them to look the same size from Earth. Other than providing an amazing sight, this perfect fit has also allowed us to learn a lot about the Sun that we couldn’t learn otherwise. The eclipse of 1919 even helped to confirm theory of relativity. So is this perfect fit just an amazing coincidence or is it one of many signs of design? I’ve written here on the blog about many of these evidences. I encourage you to check out some of my other posts on design. The universe, our solar system and our wonderful planet have been fine tuned for life. I believe that the universe and our planet have been specially designed. It’s too hard to believe that, just by chance, so many factors have been finely tuned so that life is possible. I believe that the evidence shows that the universe has been designed for a purpose. I believe that God has created an amazing universe and an amazing planet for us to live on. I also believe that He designed you with a purpose. The Bible says that God made us so that we could know him. He loves us so much that he gave us life and when we turned our backs on him and sinned against him, he went further and became one of his own creations. God became a human being in Jesus Christ and he died on the cross to pay the penalty for our sins and rose again so that we could be forgiven and live our lives in personal relationship with him. I’ve found that it’s in living in loving connection with my Maker that I can find fulfillment, hope and joy in this life that I’ve been given. As you view or think back on the amazing sight of this eclipse, may you think about God and his purpose for you. May you find that your life fits perfectly within Him. If this is your first time here, be sure to check out the various types of evidence for God and Jesus that I’ve written about. See the categories to the right. I’ve always been skeptical of stories of near-death experiences. People have said all sorts of things and I’ve just never given the things they’ve said much weight. It’s not that I don’t believe that there’s life beyond death, I do. I guess my thinking has just been that anyone can tell stories of tunnels of light and angels, and while I believe that I will go to be with God after I die, because of what Jesus has done for me, how do I know which stories describe it as it will actually be? Some people might just be making things up. So I’ve been skeptical but one aspect of some of the near-death experiences that I’ve been reading about has definitely caught my attention. As I’ve been writing about for a while, some would have us believe in naturalism, that physical matter is all that there is. They would not believe in near-death experiences because if all we are is physical matter, there’s no way someone can have any experience apart from their body. Someone like this is certainly not going to be persuaded because someone says that in a brief period while they were technically dead that they traveled through a tunnel of light and met God. It could just be some kind of hallucination while the person’s mind was far from well. But what if someone recounted details of things they saw or learned during a near-death experience that they would have no way of knowing otherwise? How Could They Know without Being Apart from Their Body? It’s these kind of stories of near-death experiences that have caught my attention as they include things that someone couldn’t have just made up. And because these things couldn’t have just been made up, it’s yet another evidence that we human beings are more than just physical matter. Consider the case shared by Kimberly Clark Sharp, a near-death experience researcher, of a woman named Maria who was rushed to a hospital with a severe heart attack. She died and was resuscitated and told Sharp about her near-death experience. She gave a detailed account of watching her resuscitation from outside of her body, as many have, and then she added another very interesting detail. She said that, outside of her body, she had traveled outside of the hospital and she saw a tennis shoe on a third story window ledge. She provided detailed information about the shoe. It was a man’s shoe, left foot. It was dark blue with a wear mark over the little toe and a shoelace tucked under the heal. Sharp then went window to window on the third floor looking on the ledges. Finally she found the shoe, exactly as Maria had described it. Seven-year-old Katie was found floating face down in a swimming pool. She was resuscitated in the emergency room but remained comatose. They gave her a ten percent chance of surviving but she made an amazing full recovery in three days. She was later taken back for a follow up visit and she recognized the doctor who had resuscitated her and was able to give an accurate detailed account of what she had “seen” in her time in the emergency room, all while her eyes were shut and her brain deeply comatose. The doctor asked her what she remembered of her near drowning. She talked about meeting Jesus and the Heavenly Father. What’s more she told of following her family home, outside of her comatose body which lay in the hospital. She told of seeing her brothers pushing a GI Joe in a jeep. She reported watching her mom cook roast chicken and rice. She even knew what clothes each family member was wearing that night. Her parents were shocked by her accuracy. Another woman described a near-death experience she had when she was five years old. She got meningitis and fell into a coma. She recalled that after she died she was free of fear and pain and felt at home in the place she found herself. At one point she saw a young girl who looked about ten years old. She thought that the girl recognized her. The two girls hugged and this other girl said, “I’m your sister… I was named after your grandmother. Our parents called me Rietje for short.” Then Rietje said, “You must go now” and she returned to her body and opened her eyes to see her parents. She excitedly told them about her experience and even drew them a picture of the sister who had welcomed her. Her parents were shocked. They got up and left the room. When they came back they confirmed to her that they had indeed once had a daughter named Rietje who had died of poisoning. They had decided not to tell their other children about Rietje until they felt they were old enough to understand the meaning of life and death. Just one more because it will be especially meaningful for many of us. Four year-old Colton had a near-death experience and afterward told his mom that he has two sisters. She corrected him that he only had one sister. But he insisted that he had two sisters. His mom said, “Cassie is your only sister” and she asked him if he meant his cousin, Traci. “No!”, Colton insisted, “I have two sisters. You had a baby die in your tummy, didn’t you?” After she was able to overcome the shock, his mother asked him who told him that she had a baby die in her tummy. “She did, Mommy,” Colton explained, “She said she died in your tummy”. They had never told Colton about the miscarriage. “It’s okay, Mommy”, he said, “God adopted her.” This girl had run up to him and wouldn’t stop hugging him. She said that she couldn’t wait for them all to join her in heaven. While these stories alone might not convince me that God exists and that there is life after death, when you put it together will all of the other evidence I’ve shared here on the blog, it just adds that much more certainty for me. I believe that God made me in his image, both physical and spiritual, and as such I can know him, both in this life and in the life to come. While I am not worthy of knowing or being with God, because of my sin, Jesus died for me and rose again so that I can be forgiven and know Him. I enjoy getting to know him better here and look forward to being with him when I die. My wife and two daughters and I also look forward to meeting our third child who died in a miscarriage. What a day that will be! Why do we celebrate Easter? Why do Christians believe that Jesus rose from the dead? A lot of people might think that it’s just because the Bible says so. That there’s really no other reason to believe it, but the Bible says so and Christians just believe what the Bible says. Therefore, if you don’t think that the Bible is the authoritative source of truth that should be accepted without question, you might not think that there’s much to consider about the historical resurrection of Jesus. Think again. I’d like to remind us that the Christian church came into existence and began celebrating the resurrection of Jesus from the dead well before the Bible as we know it came to be. There were the Jewish scriptures, the Old Testament, but the church started, based on the belief in the resurrected Jesus, before the New Testament was written. What’s more, the church was already changing the world before the New Testament writings were gathered together. There isn’t a Christian church that believes in the resurrection because of the Bible. There’s a Bible because eye witnesses to Jesus’ resurrection started the Christian church in the first half of the first century and later wrote the New Testament. The very early church didn’t believe in the resurrection because of the Bible, they wrote the Bible because of the resurrection. The disciples were convinced that they saw the risen Jesus with their own eyes. Their lives were transformed because of that fact and the world was changed because of the testimony they shared and gave their lives for. I encourage you to check out the evidence for the resurrection here on the blog. You might also want to check out Andy Stanley’s message here. 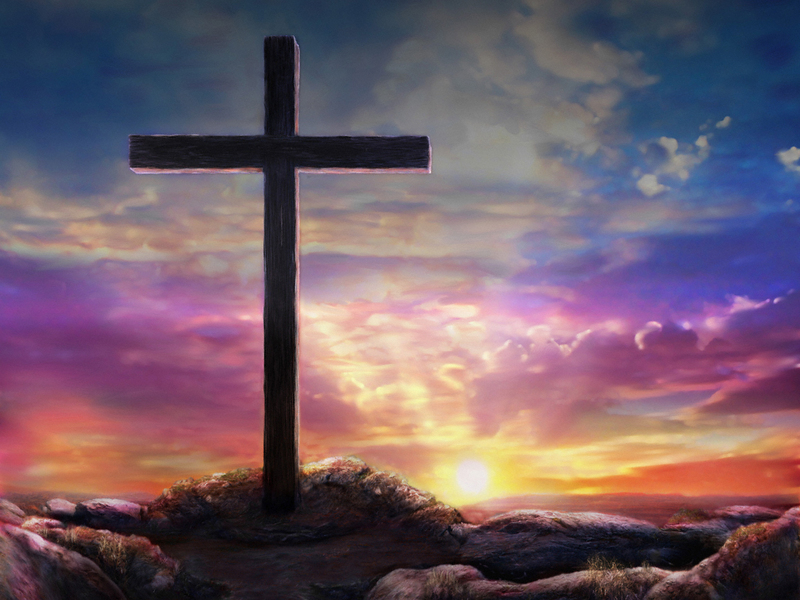 I want to wish you a Happy Easter because I believe that Jesus really rose from the dead and we have great hope in him! There aren’t too many things in life that so drastically affect your life that 30 years later you’re still talking about it and still can’t get over it. In 1987 I was sixteen years old. My life wasn’t going that badly but it wasn’t particularly good either.It was empty and without purpose and I really didn’t have much hope of it getting better. That all changed, though, on April 1, 1987. On that day a man named Fred McGill, who was a third-degree black belt in Karate, did an assembly at my high school. He broke boards with his forehead and demonstrated his skills with nunchucks and a sword. He also invited everyone to a further demonstration that night. I enjoyed what I saw so I went that night, not knowing that it would be the most pivotal night in my life. You see, what I didn’t know was that Fred was also a youth pastor, and while he gave an even more impressive karate demonstration that night, he also took some time to tell us about the most important part of his life. He told us about his relationship with Jesus Christ. I had grown up in the church but for the most part it just seemed like a drag to me. In the last couple of years leading up to this night I really didn’t know if I believed in God at all. I wasn’t daring enough to go so far as to say I was an atheist, but I really had no place for God in my life and didn’t see why anyone would want to. But that night a light bulb came on for me as Fred explained who Jesus was and why he had come. The Bible says that Jesus is God himself and that he came to earth to die on the cross so that we could be forgiven of our sins and have a personal relationship with God. I had always seen the cross at the front of the church growing up but never really understood what it was all about. I heard clearly for the first time that while I had sinned against God (something I certainly wouldn’t deny) he loved me so much that he was willing to die for me so that I could know him. Then he rose again from the dead and lives forever. If I would just believe who he was and what he had done for me, placing my faith in him, he would forgive me off all I’d done wrong, and, with that out of the way, I could begin a personal relationship with him. It was so hard to believe that God loved me that much but I knew that I wanted to get to know him. So that night I prayed and told God that I believed in what he had done for me in Jesus and I asked him to forgive me and to come into my life. And now today, 30 years later, I am so happy that I did. What a change that brought to my life. While before my life was empty, it was now filled with God’s love. It also gave purpose to my life, to get to know God better and to share his love with others. I also found peace, knowing that my sins have been forgiven and that my life is in God’s hands. And because Jesus rose again and conquered death, I always have hope, no matter what I face. I am so glad that I was open to what God was saying to me that night and that I placed my faith in him and invited him in. I remember that a couple of weeks after that night I was thinking that I was so happy about this turn of events in my life and I was hoping that it wasn’t just some phase I was going through, that it wouldn’t just fade away and I would be back to my empty life. Well that hasn’t happened and I’m quite sure now that it never will. It’s not that I don’t ever have any doubts. Every once in a while I do wonder if it couldn’t just all be wishful thinking and that it’s not really real. But then I think about all the evidence there is and the reasons for the hope that I have, along with the difference it’s made in my life these 30 years, and I’m certain that it’s much more than just wishful thinking. I’ve been looking forward to sharing this all day. I want to thank and praise God for it. It’s also my hope, that as God used Fred McGill in my life, that he might use me in yours. May you experience God’s love that is greater than anything! If you don’t know him yet and you hear him speaking to you, may you be open to what he’s saying and may you place your faith in him and invite him in. If you do, today will be a day you will never forget. Some would have us believe that you and I are physical matter and nothing more. They say that we don’t have a soul, that science has explained that all away. They say that I am just my body and that neuroscience has shown that my mind is just my brain. I, on the other hand, believe that there is both a physical world and an immaterial world and that you and I stand in both. Are you just your body and brain or is there something more to you that can survive the death of your body? Let’s continue to consider which of these two ways of thinking about you is true. Charles Darwin knew that the answer to this question is important. If consciousness is real and not physical, then evolution can’t explain where my consciousness came from. Darwin said that if there is anything about human beings that isn’t physical, then there has to be another explanation. Is My Mind Just My Brain? Is my mind nothing more than my physical brain? Let’s consider the Law of Identity. 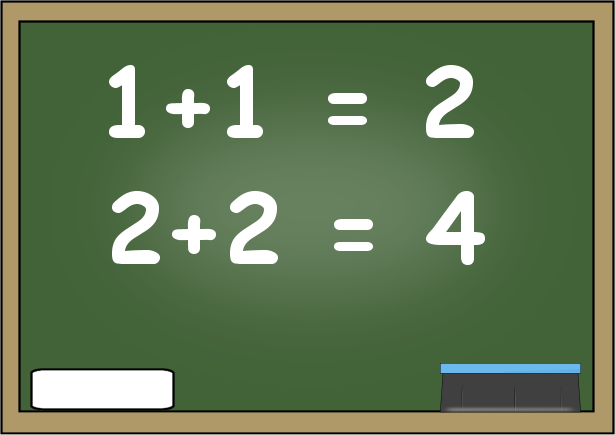 This says that if A is the same thing as B, if they are identical, then everything that is true of A will be true of B, and vice versa. If George Washington is the first President of the United States, then everything that’s true of George Washington will be true of the first President of the United States. 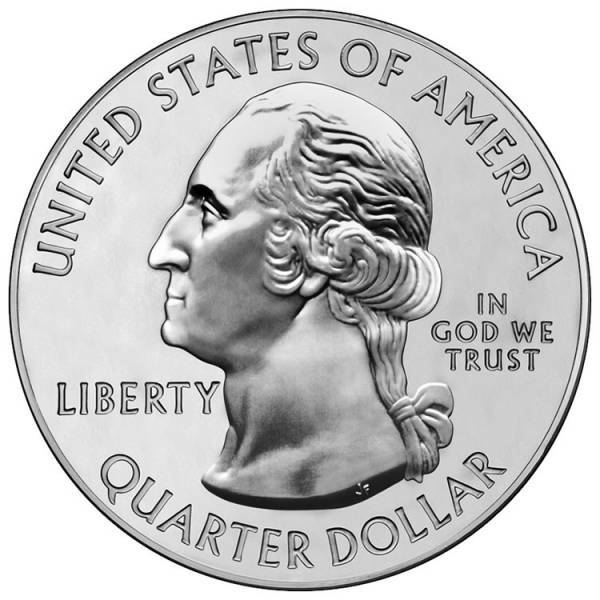 If George Washington was 6 feet 2 inches tall, then the first President of the United States was 6 feet 2 inches tall, because George Washington and the first President of the United States are one in the same. We’re just using different words to talk about the same thing. Therefore, if you can find anything that’s true of one thing that isn’t true of the other thing, then they aren’t identical, they aren’t the same thing. As Apologist J.P. Moreland says, if I can find one thing that’s true of one that isn’t true of the other, then I’ve been able to establish that there are two things, not just one. So then, if my mind is just my brain, if they are one and the same thing, then there can’t be anything that’s true of one that isn’t true of the other. If there is such a difference, then there are two different things and not just one. In the next couple of posts we’ll be looking to see if there is anything true of my mind and consciousness that isn’t true of my physical brain. First though, J.P. Moreland points out a couple of other ideas we should have in mind. Just because I can correlate a wavelength of light to a color, that doesn’t mean that the two are identical. Just because one conjoined twin always shows up with the other, that doesn’t prove they are identical. Just because fire causes smoke, that doesn’t mean that fire is the same thing as smoke. 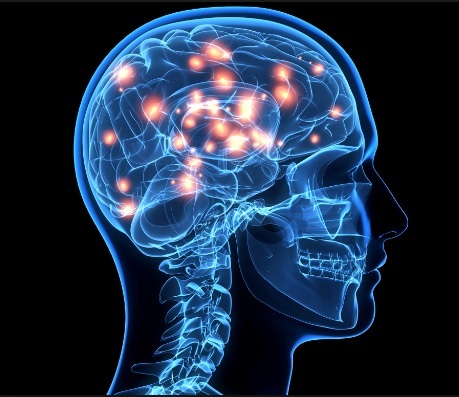 Just because I can touch a certain region in your brain with an electrode and that can cause a certain electrical firing event in your brain and that can cause you to have a memory of your grandmother making fried chicken, that doesn’t prove that the brain event is the same thing as the memory event. What if I can show that A depends on B to work? A car engine depends on the ignition, but does that mean the engine is the ignition? If more than one theory calls for the same observations, then you can’t decide which is true by the observations. There are special cells in our brains called Mirror Neurons that help us to feel empathy for others and if they are damaged, a person is not able to feel empathy. So what does that prove? There are three possible theories that would all produce the same observations. A feeling of empathy is identical to the firing of mirror neurons. What is empathy? It’s just the firing of certain neurons. So which is right? Neuroscience can’t answer this question. Science can’t answer it. All are consistent with the same observations. It takes philosophical and theological reflection to consider these things. So come back next time and we’ll explore some of the philosophical evidence in our quest to see if you are more than just your body and if your mind is more than just your brain. If it makes you feel uneasy that we need to look outside of science to find the answer, that’s probably because in our modern age we’ve been so conditioned to think that science is the answer to everything, but remember that there are all kinds of important truths we arrive at in life outside of science. Even the concepts of logic and math, that science depends on, are arrived at outside of science. You can’t do science if you don’t know that an element can’t be both heavier and lighter than another element at the same time. My daughter started college this year and today she is coming home for the first time since she left. I’m excited to see her, and while she’s excited to see us, she’s probably more excited to see our dog. I don’t take this personally, he’s a very sweet dog and, while we have visited her several times, she has only seen the dog once since she left. In my last post I talked about whether you and I, human beings, are simply physical matter, a complicated combination of chemicals, or whether we are something more. As we continue to consider that, let’s consider the animals in our lives. I think that as a child I thought that animals were more than just physical beings. I certainly had a special relationship with our family dogs. But then when I became a Christian at the age of 16, I started learning about the Creation / Evolution debate and I think that what happened was that, in reaction to the idea that humans were just slightly more evolved animals, I came to see and defend a very clear distinction between humans and animals. Believing that only humans are created in the image of God, I began to think of only humans as being more than physical. Around the same time the movie All Dogs Go to Heaven came out and I thought, “That’s not right because dogs/animals don’t have a soul.” Out of a reaction against the evolutionary idea that we are just animals, I think I went too far in thinking of all animals as purely physical, denying the more than physical aspects I had always seen in some animals, like our dogs. Scientists have discovered that not all animals can be treated as purely physical entities. There seems to be more to the way certain bird and mammal species interact with humans than mere physical attributes. I was seeing life on just two levels, purely physical and physical plus spiritual, but as Dr. Hugh Ross sees it, God created three distinct forms of life, not just two. Hugh watched his young son test the idea that any animal could be turned into a pet. Their home became a zoo. Amphibians, reptiles, fish and insects were everywhere. But his son soon discovered that these creatures treated him no differently than any other animal they randomly encountered. On the other hand his son learned that he could experience an emotionally fulfilling relationship with any bird or mammal species. These are the soulish animals. Hugh believes that the soulish animals exhibit a freedom to choose apart from instinct.They posses a mind capable of exploring new experiences and solving problems.Such creatures bond with members of their own species and can form relationships with members of other bird and mammal species, and soulish animals can form emotional attachments with humans. Yet there’s still a clear distinction between what he calls soulish life and humanity, which has body, soul and spirit. He says that the Hebrew word nepesh in Genesis 1 and Job 39 refers to the unique soulish attributes of birds and mammals and he believes God created each soulish species with specific capacities to serve or please humans, and these capacities are diverse. Carnivores, though difficult to tame, can make excellent household pets. Unlike herbivores, they don’t have to spend much of their time eating and digesting so they can focus more intently and for longer periods of time on serving and pleasing their human owners. Dogs often form such strong emotional bonds with their owners that they will sacrifice their health and even their lives to serve them. Herbivores are mammals that sustain humanity’s agricultural work. The first such animals to be domesticated in large numbers were goats. And it’s easy to see why. Even a goat that has never seen a human will readily approach and follow one. They can eat almost anything and thrive in virtually all climate conditions. These mammals provide their owners with a wide range of agricultural products for very little cost. Can Mere Physical Matter Explain the Diversity? Naturalistic evolutionary theory says that we are all just physical, nothing more. But if we are all just physical, then bird and mammal species that are physically similar to one another should also be soulishly similar, they should have the same soulish attributes – the same interactions with humanity, for example. 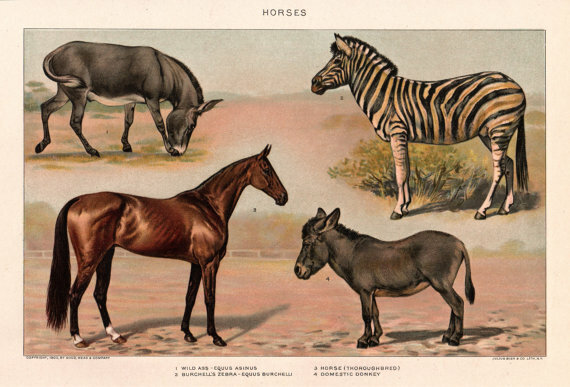 Donkeys, horses and zebras are physically so similar that humans have easily crossbred them to make mules, zorses, and zebrasses. However, their soulish characteristics are very different. Horses can form strong emotional bonds with their human owners. They will forgive cruelty. If treated well, they’ll sacrifice their own needs and even their lives to protect their owners. Loyalty to their human owners can be so strong that they will charge into battle with them. Donkeys are extremely adaptable. Like horses, they can form a lifelong emotional bond with a human. However, if a human loses his donkey, the donkey can take care of itself under almost any circumstances.It easily transitions from domestication to living in the wild and from living in the wild to going back into domestication. Unlike the horse, the donkey hates danger and provides useful service in warning it’s human owner of impending risk. Zebras are much more difficult to domesticate, harness and ride, than either horses or donkeys. However, they are more alert to imminent danger than horses or donkeys. In the wild, zebras form dense herds providing human hunters an easy source of food and leather. If they are just physical beings, naturalistic evolutionary theory has no explanation for the different soulish characteristics of animals which are so physically similar. However a creator who had different purposes in mind for all the marvelous creatures he made, could make them, both physically, and soulishly, like he wanted them to be. 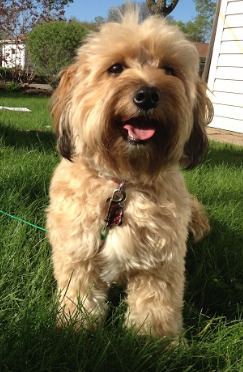 I don’t know about you, but I just called our dog over by me and I believe that there’s something more there than just the physical. I”m even more sure that’s there more than just physical matter to you, as you read this and consider whether you’re just physical matter or something more. I don’t think chemicals wonder if they’re just chemicals. I don’t even think my dog wonders if he’s just chemicals or something more. But I wonder that and you wonder that, and there’s no natural explanation for that. I hope that you realize that you’re much more. I believe that you were created for a purpose, first and foremost to come to know the God who made you and who sent Jesus Christ to be your savior. On this day before Thanksgiving I want to express my thanks to Him for making me and for making all the life I see and enjoy.